As His creatures, all Muslims must be thankful for all His mercy and guidance. When someone feel grateful for everything that was given to him, Allah will add His gift to him/her to the favors. The ways to be thankful and grateful can be delivered by saying "thank you". Also, to act gratefully for the grace and favor, accordingly. For example, by using, keeping, and maintaining well anything that has been granted/given by God and utilizing them for positive things. Five layers of humanitarian system from outer most: body, mind, feeling, soul, spirit. How to be grateful upon there gifts of God? The body layer that has been given by Allah is being thanked by doing and keeping their development, health, and strength. For example, by doing good and regular exercises such as jogging, running, gymnastics, horseback riding, swimming, archery, and more. It is also benefical to regularly do gym / fitness, outbound, and a visit to the open nature that are still beautiful and have cool air away from industrial pollution. The layer of the mind that God gave, is guarded from negative things, being developed with the method of good thinking honed with the tools to think straight and clear, the laws of thought that are strong and straight, good logic, critical thinking based on the laws and rules God given for the good of man himself. Other way to thank and keep our layer of mind good are following seminars and personal and expertise development training. Educating family with science and world religions equally which are mutually reinforcing. Providing free courses and contributing ideas to the needy. The layer of feeling and emotions is guarded and maintained by giving the best power with a good understanding of the knowledge of religion and the knowledge of world well. Listening to the smooth feeling and following it as a message from the unconscious layers. Following the cues given by God through his angels in any event so that not only processed using layers of the mind, but also cultivated taste by holy spiritual component. 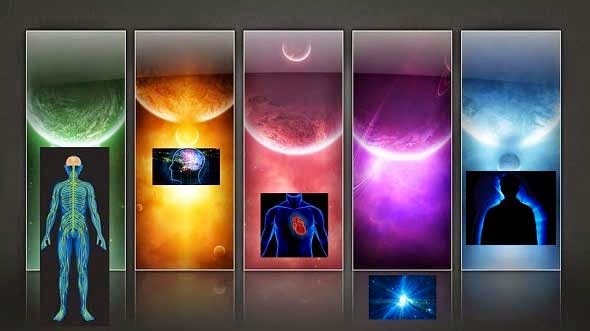 The other are establishing, maintaining, and programming the soul (or subconscious) layers with the noble, positive, creative, and powerful things. Do not let the negative influences embedding in the subconscious layer so that it becomes a long-term program that could affect the quality of human life and difficult to re-formatted the long-term program. Last layer is the spirit. This one is in God's knowledge. Grateful by the intentions, words, and deeds is the best way that must be done as a Muslim. If there is less than one then it is not good. Grateful to the intentions and actions can be tolerated only if gratitude with words deemed irrelevant and out of place. For this type of grateful, not everyone can do it easily. For instance, someone that has been given the success in his businesses at past time. But now, it is being revoked and he currently lives in difficulties. 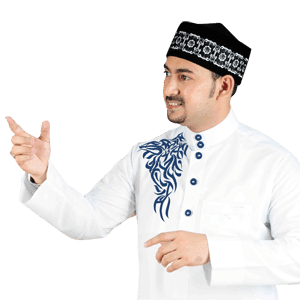 So, if a person is being grateful for his past success, while in this time he has a difficulty in his life, means that he already did this first type of gratitude. O God, you ever gave me great success in business at past time. I am very grateful for your grace even today you are depriving it favors me. Yes thank God for that past success. I have never became number one in my business field like that time ever. " Another example is someone who ever had a home but his home was taken back by God to be given to someone else. Or people who have been given a child by God and then called into the presence of God (died) after that. This type of gratitude is often forgotten, so often. Usually people give thanks to God for what is being enjoyed at the present time, not the past one. If we can be grateful for achievement, happiness, success, and others in the past time, whether God will give them back? Or, even, give more than that? Remember God's promise that whoever is grateful, God will add His blessings and gifts to the such people. But if we are not grateful for the pleasure that have passed, then the fact that we become the people who are less grateful. And it will be more difficult for us to obtain more success and other favor and God blessings. If we are being grateful to God for anything He gave at the past time, it will add our more value in the eyes of God as people who constantly grateful. If God wills, Allah enhanced our degree. Aameen. "I am a gift in this life. 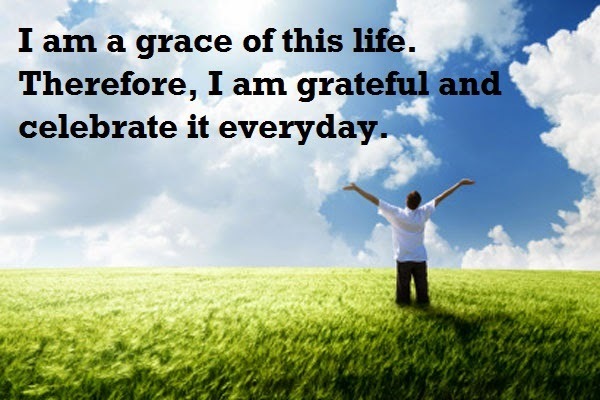 Therefore, I am grateful and celebrate it every day. " To be continued on next article "Three Types of Gratitude (2)".